Moving house can be a bumpy ride, there are often a lot of unknowns, and you might feel that things are either taking too long or that you don’t have enough time. But when it comes to the relocation of your possessions, it doesn’t matter which one is bothering you, Moving Service can offer you support to help speed up your moving journey, or can take tasks off your hands so you’ve got more time to deal with other worries. We work with you and for you to ensure that every step of the removals process is completed just how you want it and in the timeframe you need it. Don’t delay your move in West Green, call us on 020 8746 4402 and we’ll get you moving. 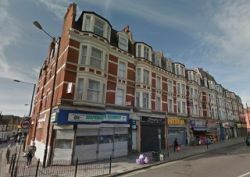 Located in the Haringey borough in North London, West Green is a predominantly residential area, but does have some attractions to entice the tourists. The main attractions are the local parks Chestnuts and Downhills which offer an oasis of calm amongst the hustle of central London, they have open green spaces and children’s play spaces to enjoy. In addition to the parks the area also offers an excellent retreat away from London with a quaint collection of shops and restaurants, but with Seven Sisters Tube station nearby, you can easily hop from N15 region into central London without any trouble, allowing visitors access to all the big city has to offer. Dealing with household and office removals is an everyday experience for us. We do it so often it doesn’t even bother us. But we know that there are usually a lot of things to get sorted before you actually move, so why not let us deal with the particulars of the actual relocation, and you can focus on the other hundred things you have to deal with. We will consult with you to discuss how we can best help to achieve a smooth and easy house removal for you. You tell us what you need, and we can get it done, and if we think we can help, we will also offer suggestions about how to make the whole process easier. Where Can I Find Moving Experts? If you live in or around the N15 or N17 areas, then we are the only name you need for all your removal needs. We have been doing removals for a long time, so we know what we are doing, and over the years we have honed and developed our service to make sure it’s the best it can be. We offer bespoke, tailored packages for those who have specific requirements, but we also provide a range of classic services for those who want a more straightforward route. When you call us on 020 8746 4402 our experienced booking team will happily discuss your needs and advise you about the options that may be best for you. Let us make your house relocation to West Green, N17 a happy one. How Can We Help Make Moving Cheaper? Reducing costs when moving house is often a priority for many people, but when it comes to hiring a removals service, we believe that you shouldn’t have to cut this out of the budget. Instead, we have made a pledge to offer the best value, most cost-effective prices in West Green, and we do all this without compromising on quality. Our payment packages are flexible and we even offer a money back guarantee so there’s no risk at all of wasting money. We offer a range of relocation services from van hire to complete removals, so whatever your budget, we’ve got you covered. Get in touch with Moving Service today by phoning 020 8746 4402 and discuss your needs today.